Please note that part number 1030850127 (Fits Honda CRF50F, CRF70F, XR50R, XR70R, and Yamaha TTR50E) is 15mm (9/16") longer than stock, making shifting easier for large feet. Made from forged T-6061 aluminum and then heat treated, these shift levers are one of the strongest and lightest levers on the market. Colored levers are sandblasted and then anodized to give a great look that will last. 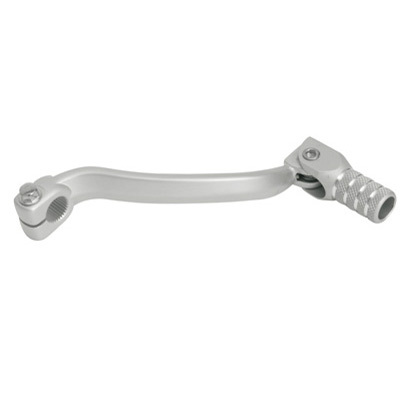 Polished levers are anodized for a long lasting beautiful finish.